There are lots of world-class steak houses in New York City. Some are new and innovative, such as The Strip House and BLT Prime. And some have become institutions; Sparks and Smith & Wollensky come to mind. But one restaurant is the institution, the must-have steak in the Big Apple: Peter Luger Steak House. 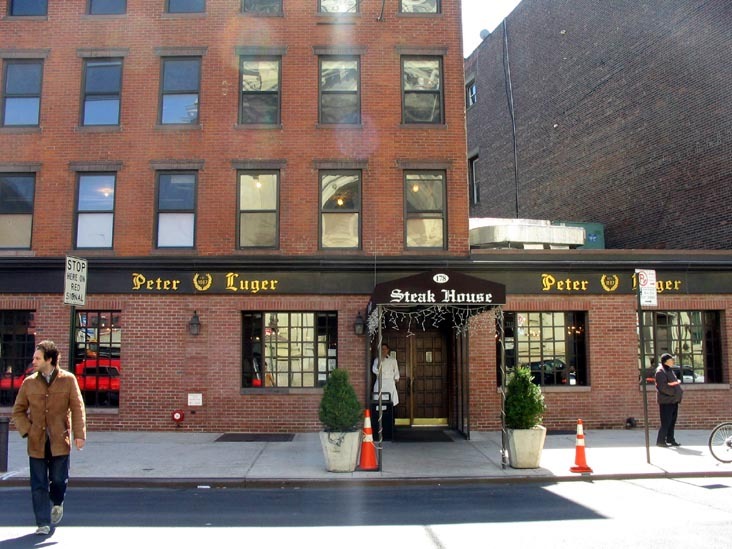 Located in the Williamsburg section of Brooklyn, Peter Luger has been delighting New York carnivores since 1887. 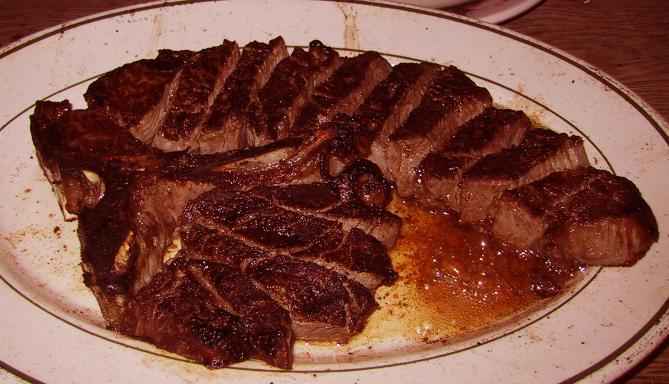 The main attraction is a large porterhouse, prepared for one to four people. The steak comes to your table pre-sliced, served with signature creamed spinach and German fried potatoes.